This is a brief guide to local kayak fishing marks and how to fish them. I have based the typical catches from April - November as this is when people are most likely to be kayaking. I have listed the locations in order starting from East to West. One important thing is that i would advise to check the safety page on this site and others, i would also fish in at least a pair. (((This page is still under development so please bear with me))). Seaford is a great area to fish and has a real mix of ground from open sandy patches to rocky areas or muscle beds. This means that it should hold a diverse range of fish. I dont have any specific marks on this stretch so you will need to do some investigation (and let me know!). Check the patch your fishing and plot any particular areas of interest on your GPS. I really rate this area for targeting summer fish. The only thing is that sometimes of a summers evening they are so close to the shore there may be no point in yakking. I have literally seen huge shoals of mackerel beaching themselves to chase whitebait with the bass chasing the mackerel. But these may be the rarer sessions and on other days the yak comes into its element especially during mid day hours. It is quite deep it can put you in a decent amount of water quickly. The tide can run fairly hard here which means you may drift and be aware of the yacht club and boat traffic. Therefore, please check the tides and research the area before you fish. Fish you can target: Wrasse, Pout, Mackerel, Garfish, Bass, Flounders, Dogfish, Sole, Scad, Whiting and Codling. Methods: The methods for targetting each of these species will differ dramatically depending on the target species. Summer surface and midwater fish like Mackerel, Gars and Scad can be fished for with lures, feathers and floatfished baits. These can be fished for while anchored or on the drift. Bottom dwellers like Wrasse, Flounders, Sole, Dogfish and pout can be caught while fishing appropriate baits on the bottom while anchored. Bass can be targeted in a range of bass fishing methods. In Autunn months you can catch Whiting and Codling with bottom fished worm baits but this will only be on days after a storm when the water is coloured but calm. This area is on the same stretch of beach as Seaford. This area is much shallower and is clean sand. This is a good area to drift for Plaice over the high tide. Its slightly harder to access than Seaford and it may be worth starting near seaford and paddling towards tidemills instead of walking the kayak from the tidemills car park. Fish you can target: Mackerel, Garfish, Bass, Flounders, Plaice, Sole, Rays, Golden grey Mullet and Gurnards. Methods. The usual tactics can be employed for Gars and Mackerel. I have witnessed huge shoals of both species in this area. it may be worth trying larger lures or live Joeys for Bass. You can also try float fished prawn. Red rag (harbour rag/maddies) can be used for Flounders and Golden grey Mullet. There has been the odd ray caught here in the past and therefore, i would recommend Mackerel Fillets and crab baits. Gurnards will take a range of baits fished on the bottom. Sole are best caught at dusk using a fresh worm bait fished hard on the bottom. In the past couple of years there has been Smoothhounds caught here and at Seaford so if your brave then you could target them at a dusk HT session but anything too big could cause problems. In the winter and after a blow you can catch Whiting here. This can be a highly productive area but be aware of the snags. The main issue here is the rock pools themselves which can make access difficult. The best thing to do is to visit the area you intend to fish at low tide so that you can look for a patch of clean ground that you can choose to access or exit at. Once you have your patch to fish there is a range of species you can target. 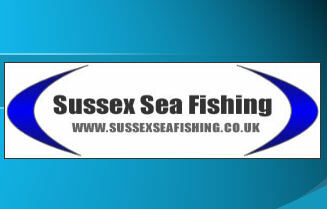 Fish you can target: Wrasse, Pollack, Bass, Mullet, Eels, Pout, Mackerel, Gars and Even strap congers. Methods: I would try a range of things from lure fishing to bait fishing. I know that float fished prawn as well as live baited small fish can be deadly for Bass along this stretch. For Pollack, Mackerel, Bass and Garfish i would suggest lures or usual methods. For the other species i would use a bait fished on the bottom. One thing i would say is that given the snaggy nature of the area be prepared for tackle loses. This is a good area to fish and the only issue (as with most of the coast) is parking. In Spring you can catch Plaice while drift fishing and the bottom is not too snaggy. There is also a mark just further out near the marina yacht club bouys which can be a good area to drift for Plaice. Between these points can be particularily productive for Mackerel, Gars and Bass on early morning sessions. Fish you can target: Plaice, Mackerel, Bass, Garfish. Whiting and Codling on Autumn calm days. Methods: You can use similar methods to those described on the seaford and tidemills section. This for me is one of the holy grails in terms of kayaking. Its been untouched for years, relatively un-fished and holds a particular place in my heart for some reason (probably because i want to fish it!). I have kayaked through it but not been able to fish it yet but have already spotted where i want to fish. There are dangers such as submerged parts of the structure and debris. Also be aware of old fishing line and nets. For this reason i would take a knife capable of cutting rope of line just in case. I have seen some underwater footage of this mark and it looks very fishy as you would expect it to but there is a lot of submerged structures which whislt looking fish also eat tackle. I also have it on good account from some friends that surf the area that they have seen splashes from large fish and even a small conger near the surface. Fish you can target: Pout, Wrasse, Pollack, Bass, Garfish, Congers (although rather you than me on a yak as they are tuff enough on a boat), Flat fish, Bream. Methods: Given the above you may need to tackle up slightly heavier than usual. This would be a personal choice as it can effect the fight but i have fished piers and lost fish that have rubbed line on pier struts that are covered in barnacles and believe me i wished i had gone slightly heavier after. I would probably fish just outside of it and cast into it as this will give me plenty of space to manouvere should i need to. Although i would take a lure through there a few times in the hope of Bass. The Palace Pier is pretty much the same as the West Pier in terms of catches and fishing tactics. I have also seen underwater fottage of the pier and there is some underwater structures there as well and no doubt old nets etc so be aware. The only thing I would say is that if you fish it in its open times you must be aware of the people on the pier as its not unheard of for them to throw items at kayakers and the likes. Also bear in mind the boat traffic as it can be busy near the pier. There is also a good spot (a sandbank) about 300 yards to the SE of the pier which can also produce fish. Fish you can target: Have a look at the vintage pics page to view the type of species they used to catch on the pier, when it was open to anglers. Excluding this, you can pretty much expect the same species as you would at the West Pier. Methods: Same tactics and set up as West Pier. This is a rocky area that can be easily reached by a kayak. If you fish between Shoreham power station and HDSA from anywhere after 200 yards out, this will be sufficient. The main issue here is the snags. As you may be aware that when your drifting and get a snag on a kayak it can be a bit of a pain but with a quick paddle over it, they usually come free. Its basically a mix of clean/mixed ground and rocky kelp covered outcrops. This is a well known mark opposite the Shoreham power station. The hot water attracts a number of fish including Bass and Mullet. You can anchor up or drift past the water outlet and can catch fish on lures or bait. They are mostly smaller fish which can provide good sport but im sure there are some bigger ones around. Fish you can target: Bass, Mullet, Mackerel, Garfish, Flounders. Methods: You can either drift the area with baits on the bottom or you can anchor up and fish the area with one rod fishing a bait on the bottom and one rod lure fishing for the predatory species. There is clean ground here with the odd rocky patch. In summer you can catch bream to good size by paddling out just a bit. You also have the chance of Dogfish, Flatfish, Gars, Bass and Mackerel depending on the area you fish.